Avichi's The Devil's Fractal from 2011 has been added to the Profound Lore Records Bandcamp. Musically this is orthodox black metal. Mid-paced, it seldom enters blast-beat territory, but still fierce. Accessible, sometimes even melodic, and mesmerizing. Here's a review from Metal Review. Lyrically the album is a collection of short dialogues between man and Satan. 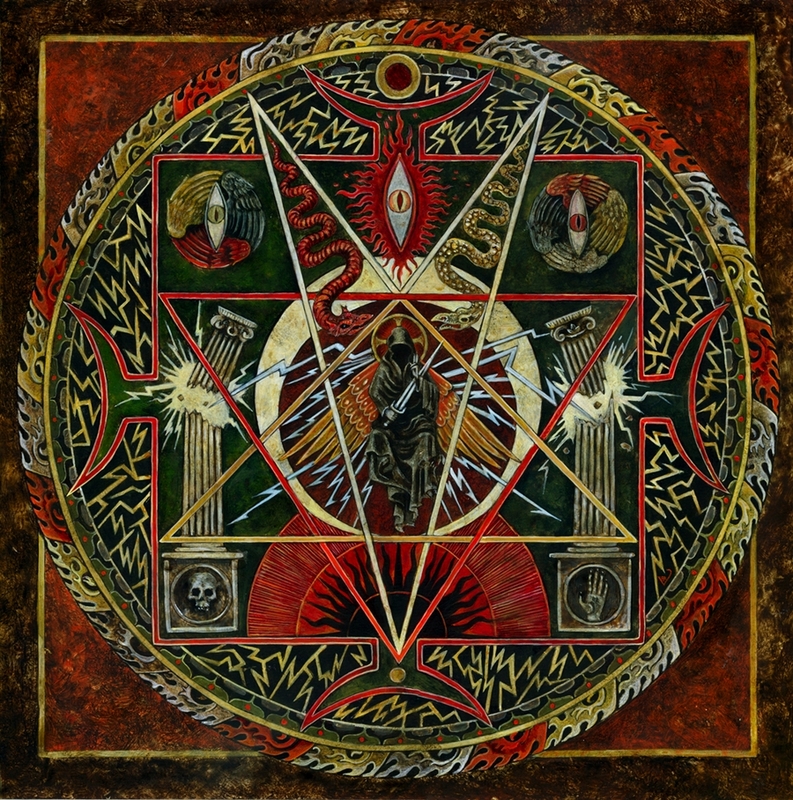 This review from Chronicles of Chaos calls the album menacing, but asks how serious Avichi is taking the themes of Satan and black magic. The answer can be found in this interesting interview from That's How Kids Die, and it is: Very serious.